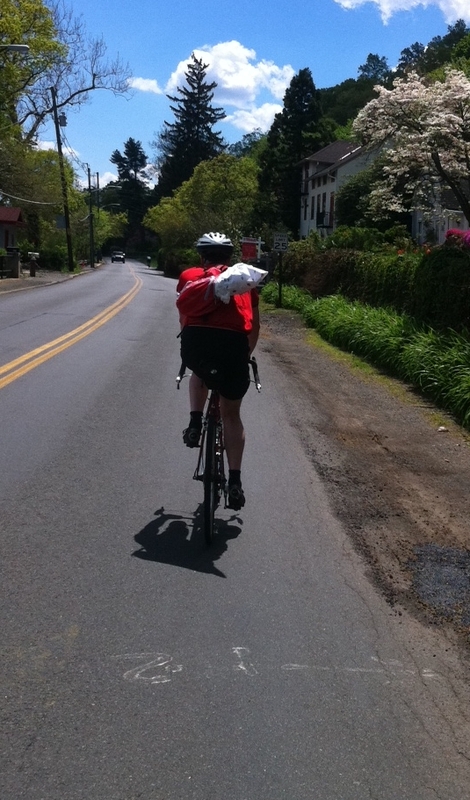 What happens when it’s Mother’s Day and you’ve both forgotten a gift and haven’t had time to go for a ride? Simple. Grab your bike and head down to the florest/bodega/nearest garden and check two things off of your to-do list, like this fella seen out on my ride today.